Holidays are all about indulging aren’t they? Indulging in beautiful weather, delicious cocktails by the pool and time with family and friends. Another thing we probably all indulge on while we’re on holiday, is food. 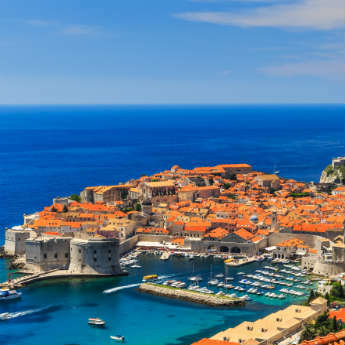 All the tempting dishes and meals can be a big part of our time abroad and desserts especially can be something we particularly remember about our holidays. With that in mind, we’ve hunted high and low for some of the best sweet treats from around the world. Which one do you fancy? If you head to Portugal, one of the main sweet treats you’ll come across is the Portuguese Egg Tart. This pudding is very much like the English egg custard except it’s made with more egg, making it richer and creamier. 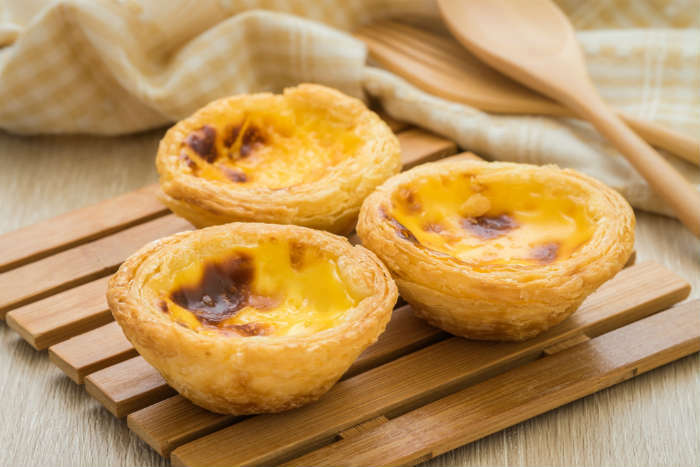 Encased in a layer of shortcrust pastry or puff pastry, we challenge you not to fall in love with Portuguese Egg Tarts which are served warm. You can even find them in Macau too, a place that used to be under Portuguese rule, and also across the water in Hong Kong. If you’ve ever visited Greece or Turkey, it’s more than likely that you’ve discovered the delights of Baklava already. Layers of filo pastry are bound together by pistachios, walnuts and almonds along with a good helping of syrup or honey. 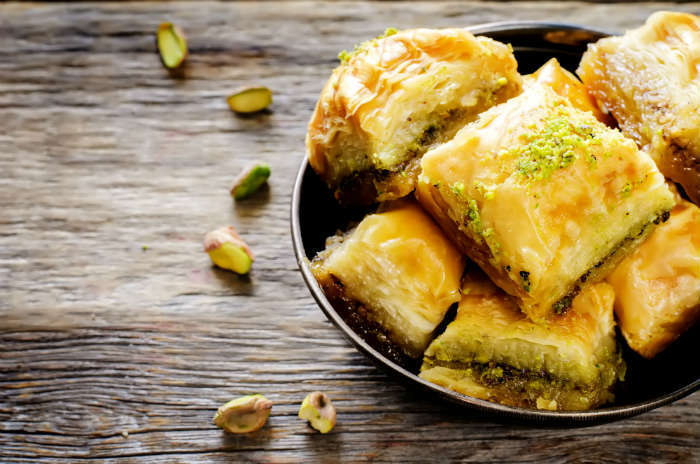 They’re bite size morsels of sweet goodness which will become a staple of your holiday and you’ll find that whichever country you’re in, both Greece and Turkey will lay claim to the creation of Baklava, even though the history of this pastry is not really well known. Pancakes are usually only popular in the UK around Pancake Day. The Dutch though, they eat this sweet treat all throughout the year, just in a really mini version. 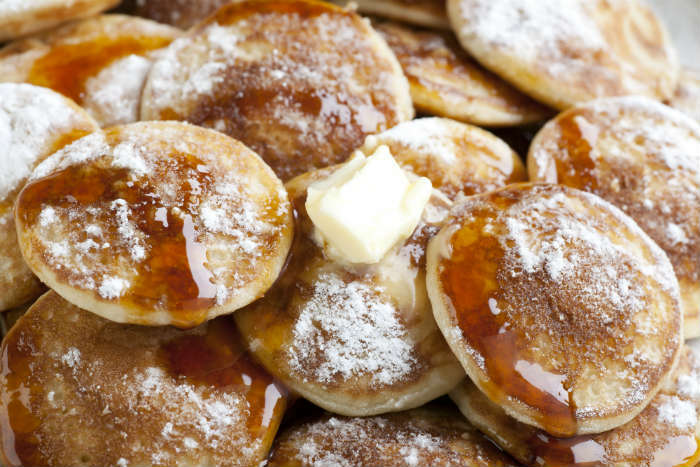 Poffertjes are small, light and spongy mini pancakes which are often coated in powdered sugar and melted butter. They may not sound the healthiest but when you taste them, you’ll wonder how you’ve lived without them all your life. Noordmarkt in Amsterdam is one of the best places to try them in the capital but street food stalls around the country will sell them fresh to eat and enjoy. 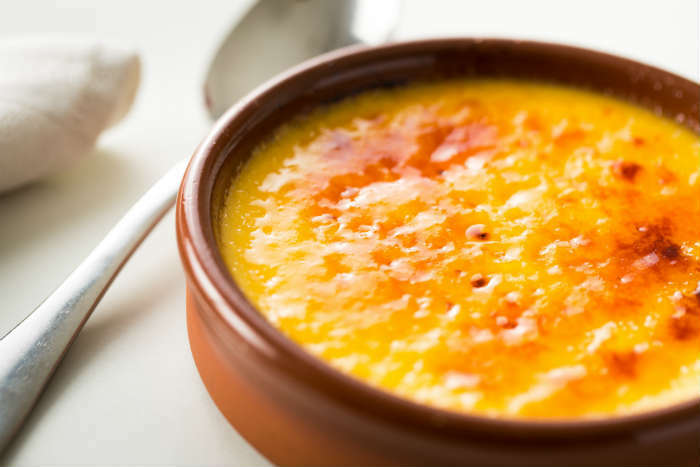 Very much like the French Crème Brulee, La Crema Cataluña is a custard and egg based dessert which is traditionally eaten on March 19th, which is St Joseph’s Day in Catalonia. 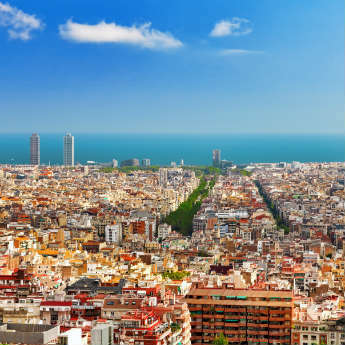 However, you will find it on many menus especially in Barcelona all throughout the year. Unlike their French counterpart though, the Crema Cataluña is often flavoured with cinnamon or refreshing lemon peel. 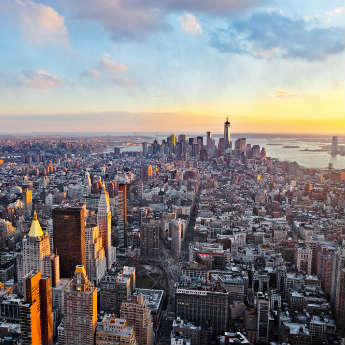 So, there’s no way that New York can lay claim to creating the first ever cheesecake. That honour lies with the ancient Greeks where it was a very popular dessert. 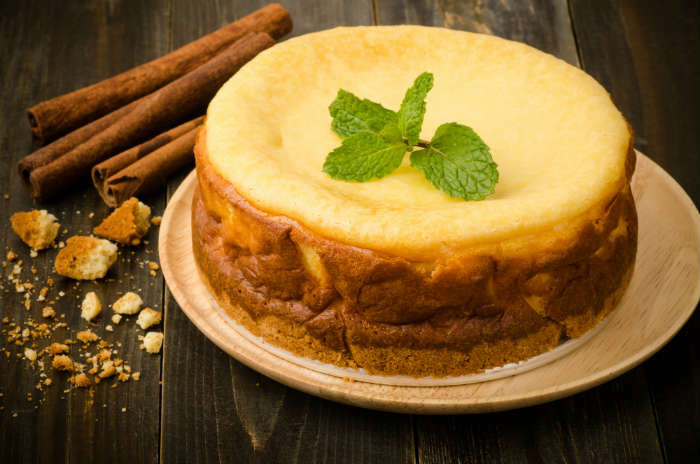 However, during the 1900s, this dessert became popular in New York City in its purest form – just cream cheese, cream, eggs and sugar. A potentially sickly but heavenly combination of ingredients that is still loved and adored in New York today. You’ll not find any toppings or flavourings on the New York Cheesecake but who needs them when you have a dessert this good? Do you have a favourite sweet treat from your holiday? Or do you like the look of any we’ve picked out here? Let us know what you would indulge in over your holiday.